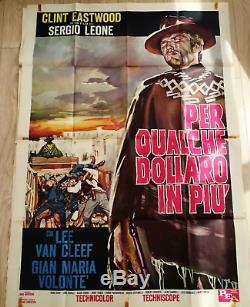 For a few dollars more, 1965. 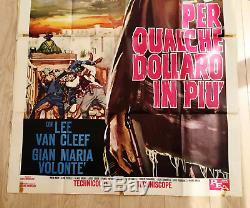 This is an original, first-release, country-of-origin Italian 2 sheet (39x55 inches) for the second in Sergio Leone's seminal'Dollars' series of spaghetti westerns starring Clint Eastwood. In fine condition, with some signs of age and wear, principally tape marks in the borders. Will clean up and linen back very well indeed. Please look closely at the images and ask all and any questions. Please examine the images carefully. The item "FEW DOLLARS MORE Clint Eastwood original vintage western movie poster 39x55 Ital" is in sale since Thursday, August 31, 2017. 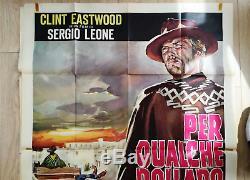 This item is in the category "Entertainment Memorabilia\Movie Memorabilia\Posters\Originals-International\1960-69".